The ancient world is often misrepresented as a time of enlightenment. Although there is much that this world did contribute to the rise of the West, and civilization in general, there are dark chapters that are forgotten. 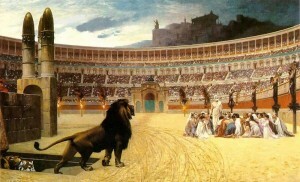 One of these is the extent of the killing of slaves and citizens in ancient Rome in the name of “entertainment.” Those attending Roman circuses saw the killing of millions of people. Such spectacles were only banned with the rise of Christian emperors in the fourth century. Historian Rodney Stark cites, as an example, one particular celebration in 108-109 AD in which the Emperor Trajan employed 10,000 gladiators and 11,000 wild animals in a wild killing fest that lasted 123 days. 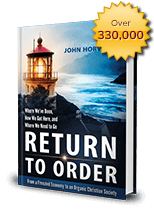 This entry was posted in Featured and tagged America, Catholic Church, Christian civilization, Christian principles, frenetic intemperance, Natural Law, Return to Order by John Horvat II. Bookmark the permalink.